Dillip Ray and his buddy Bijay Mohapatra quit BJP on friday as they felt their “continuance in the party was no longer untenable.”. It was imminent. The two political stalwarts were not at home in the state unit of BJP for the last two years during which there has been a conspicuous distance between the party and the two leaders in Odisha. Dillip Ray who is a legislator from BJP has offered to quit this post also. He has tendered his resignation to the speaker of Odisha legislative assembly. Bijay Mohapatra, as he said, has sent his resignation letter to Amit Shaha, the National President of BJP. Non-compliance with its own promises those the BJP government made regarding development projects and issues in Odisha are what both the leaders have cited to be the reason why they terminated their 9 years of association with the party. 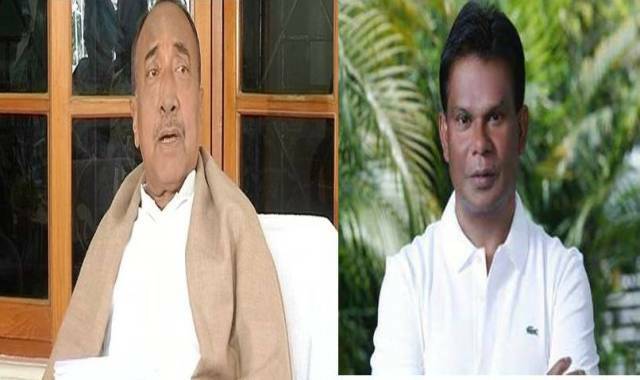 In joint resignation letter Mr. Mohapatra and Mr Ray have mentioned that their repeated voice regarding the sorry state of affairs of the party in Odisha went unheard by the President. Rather their “well meaning suggestions” were presented in a wrong way by “some egocentric self-serving” leaders in Odisha. We can’t be treated as furniture in the party, read the resignation letter to Amit Shaha. They have expressed their disenchantment on the party’s attitude on the Mahanadi issue, on the construction of second bridge over Mahanadi, on the up gradation of IGH in Rourkela to a super speciality hospital and providing job to youths in Odisha in IOCL in Paradeep. “Nothing absolutely nothing materialised” wrote the duo. BJP has termed the resignation of the duo as matter of their political interest.